Hello everyone! Happy Tuesday! 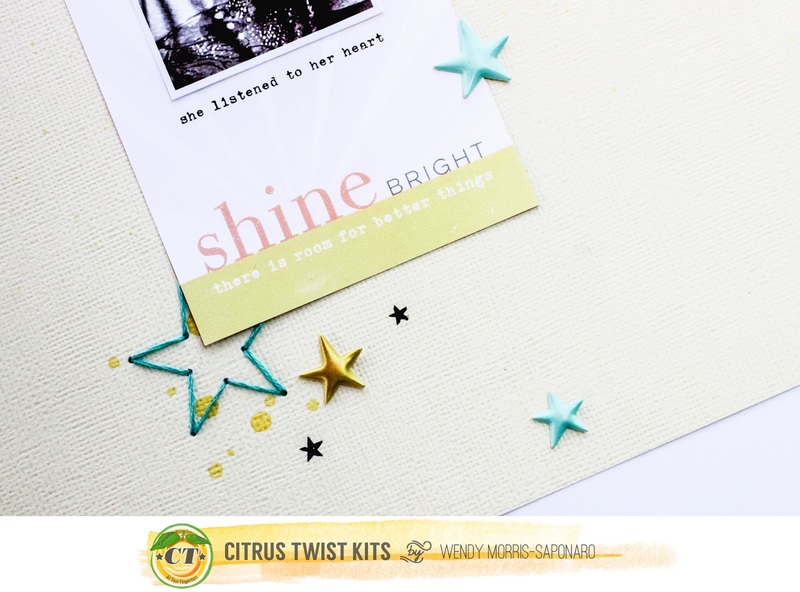 Wendy here to share up some inspiration for you in a quick hand-stitching tutorial. 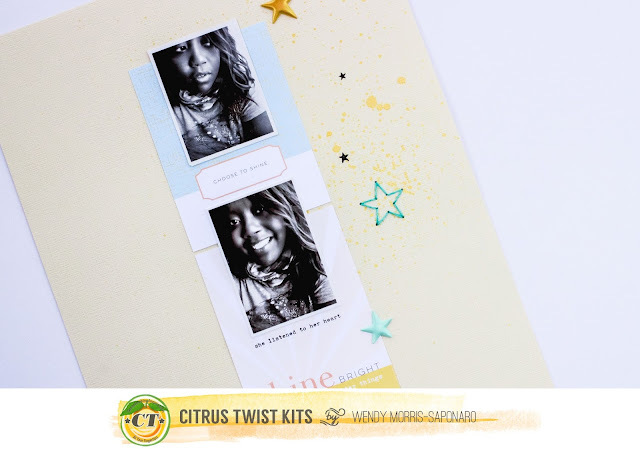 Stitching (by machine/hand) is an inexpensive way to add flair to your scrapbook projects with just simple needle and thread. I used to love cross stitching (just not enough hours in the day for it now). So, I have quite a stash of threads (all sorted in colors of the rainbow, of course). DMC® thread is my preferred brand but you can make it work with any embroidery/cross stitch thread from your local craft store. 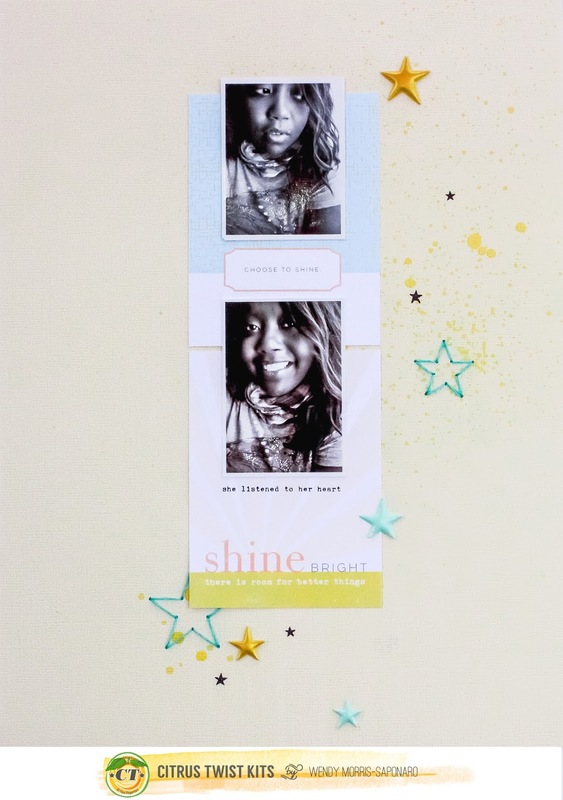 Since I really wanted to highlight the theme of my layout as "shine bright", I chose to go with stars as the focal embellishment. I used various stars in different elements as puffy stickers, stamps, and my most favorite the hand-stitched stars. 1. Choose and locate your preferred shape template (i.e. star) either online, cut out a shape from your metal dies and cutting machine (i.e. Sizzix Big Shot), or diecut machine (i.e. Silhouette). For added interest to your layout, try different sizes of your shape of choice. I used one large star and one medium star. 2. 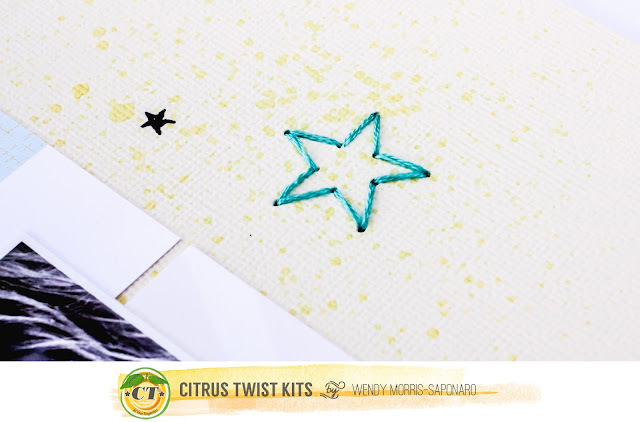 Use a paper piercer (Tim Holtz Retractable Craft Pick) or needle along with your cut out shape to punch holes evenly around your shape. Also, I like to use a mouse pad under my paper as a cushion as I pierce along the shape. 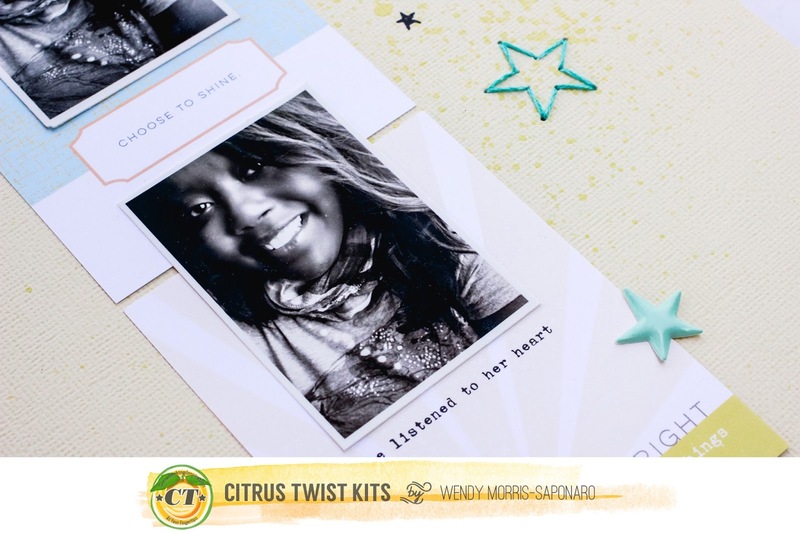 Maybe you were lucky to grab up one/both of those We R Memory Keepers (WRMK) Sew Easy Templates (when they were available, now sold out, over in the Citrus Twist Kits shop a while back). They are perfect for this type of project! 3. Now the FUN part, to thread your needle and start stitching. (Hint: I like to tape the loose ends of thread - start and finish- on the back of my layout with a scrapbook adhesive tab/transparent tape/masking tape.) Also, stitching of the shape(s) is the perfect activity to do while catching your fav series on Netflix or lounging on the sofa. 4. That's it! Easy peasy. Feel free to add some misting around the shapes (before stitching to avoid staining your thread) to add some pop to your stitched shapes. 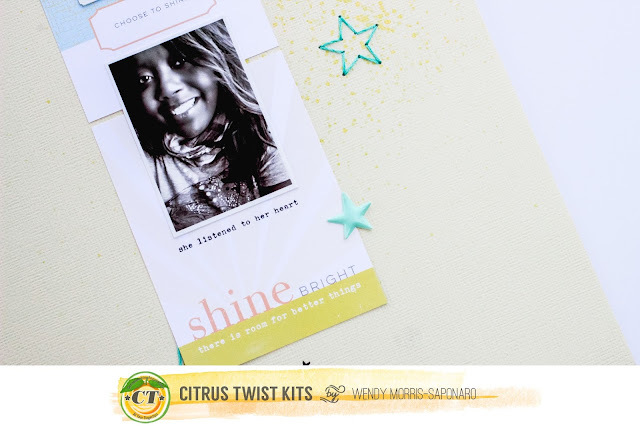 The Heidi Swapp Color Shine Mists in the CTK shop work nicely with this technique! I stamped some of the Pocket Life cards with CTK stamps and added matching accents from the kits to finish off my layout. Hope you enjoyed my tutorial and go sew away on your next project! Be sure to share up your take on this tutorial over in the Citrus Twist Kits Facebook Fan Page and/or Citrus Twist Kits Instagram to tag us @citrustwistkits. I would love to see what you create!